You are here: Home / FREEbies / FREE Domino Or C&H Brown Sugar! You can get FREE Domino Or C&H Brown Sugar! 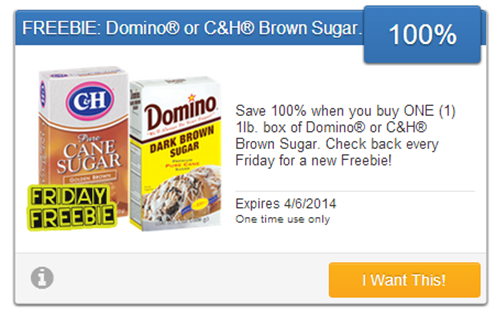 Today’s SavingStar FREEbie is Domino or C&H Brown Sugar! Just head over and click “I Want This” and then purchase your choice of Domino or C&H 1 lb box by 4/6/14, and get 100% back!